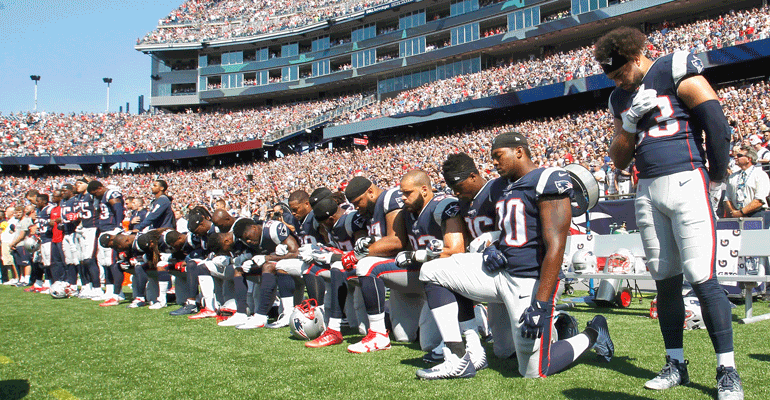 The controversy over NFL player protests during the national anthem has put Papa John’s International Inc. on the offensive, pulling some ads from games and shifting to digital marketing in an effort to improve sagging sales. John Schnatter, the Louisville-based chain’s founder and CEO, had harsh words for the league in a conference call following the release of third-quarter results late Wednesday. The Louisville-based pizza chain blamed weaker-than-expected same-store sales this year not only on poor NFL ratings, but on the company’s very association with the league. Executives said they are talking with the league about their concerns. “I’m disappointed in the NFL and its leadership that they did not resolve this ongoing situation to the satisfaction of all parties. This should have been nipped in the bud a year and a half ago,” he said in the call. Papa John’s stock fell more than 8 percent on Wednesday. Papa John’s North America same-store sales increased 1 percent in the third quarter ended Sept. 24. The numbers did not meet the company’s internal expectations for the period, though it was the chain’s 28th straight positive quarter. But the company also lowered its expectation for annual same-store sales, from between 2 percent and 4 percent, to “up to 1.5 percent.” The vagueness of the projection suggests fourth-quarter same-store sales could range anywhere from down 4 percent to up 1.5 percent, Instinet Analyst Mark Kalinowski wrote in a research note. Papa John’s has long associated itself with the NFL, with Schnatter appearing in ads with NFL stars including Peyton Manning and other current and former players, pushing the company’s pizza. It advertises heavily during NFL games. NFL ratings were down last year, too, but Papa John’s same-store sales in the fourth quarter last year increased 3.8 percent. Executives, however, said that the company introduced its Pan Pizza last year, which helped sales. They also said the ratings decline a year ago was due to the U.S. presidential election. This year, executives said the controversy over the protests has been “polarizing” and has given the league a bad image, and that image reflects on Papa John’s — which has as close an association with the NFL as any other restaurant company. What’s more, the company expected something completely different. Papa John’s expected a rebound from weak ratings this year, and as such the company made a bigger investment in the NFL. Instead, the opposite has happened. Papa John’s is pulling some advertising from NFL games. The company is instead working to shift some of its spending to digital areas, which the company considers to be more efficient. Executives also outlined plans to invest in the business in 2018. CFO Lance Tucker said on the call that 2018 should be considered “a year of investing rather than a year in which” earnings per share growth is a focus. The company plans to make investment in operations, marketing and technology, and “some benefits will not be immediate,” Tucker said. 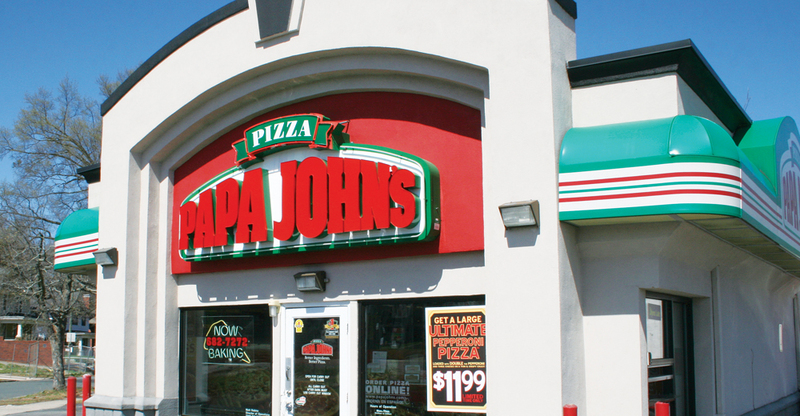 Papa John’s is planning to invest in efforts that reduce turnover and improve service. The company is also making a heavy push on digital, which is increasingly vital in a pizza space in which both Papa John’s and Domino’s Pizza Inc. get more than 60 percent of orders through digital channels. Executives would not provide details on planned digital investments.